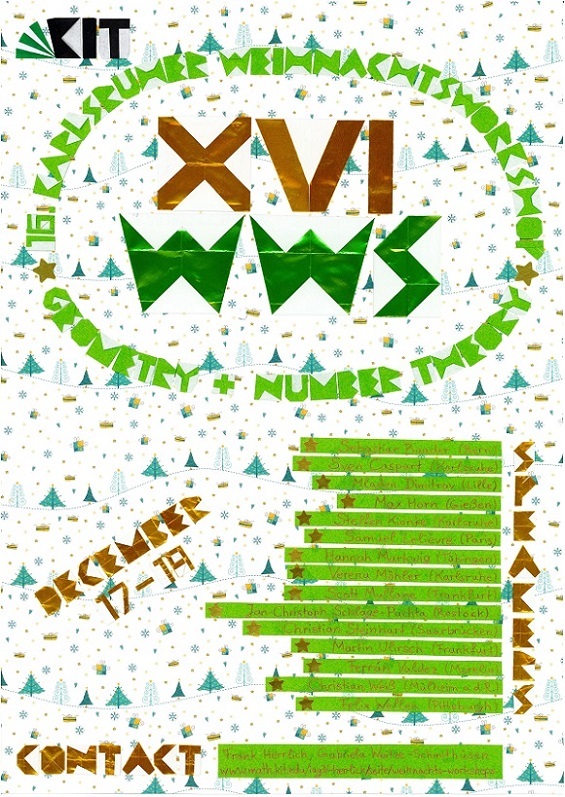 Once a year in the last week before Christmas the Karlsruher Weihnachtsworkshop takes place with talks from geometry and number theory. The Weihnachtsworkshop 2018 will be from Monday, December 17 until Wednesday, December 19. It will take place at KIT in Karlsruhe. All talks except the last one take place in the seminar room 1.067 in the Mathematikgebäude (Geb. 20.30, Englerstr. 2). For each talk there is a short abstract. There is also a print version of the programme.